This is the 2nd annual MES Holiday Lookbook. 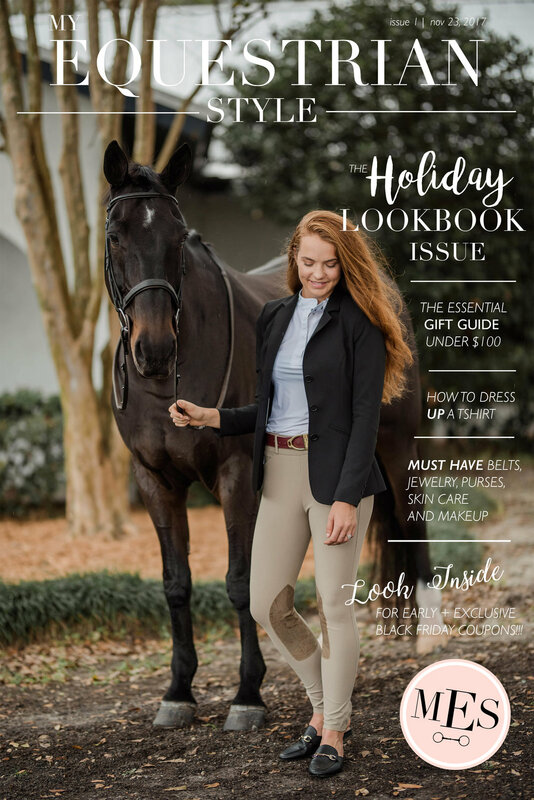 I take several of my favorite equestrian brands- clothing, accessories and beauty - and curate an online magazine of different looks for you to enjoy, get some inspiration and to start your Christmas shopping! includes exclusive Black Friday coupons before the actual sales begin! Woohoo! Go check your email for the Lookbook! Or for a shortcut.. click HERE ! Click the photo above to watch the sneak peek of the Lookbook!